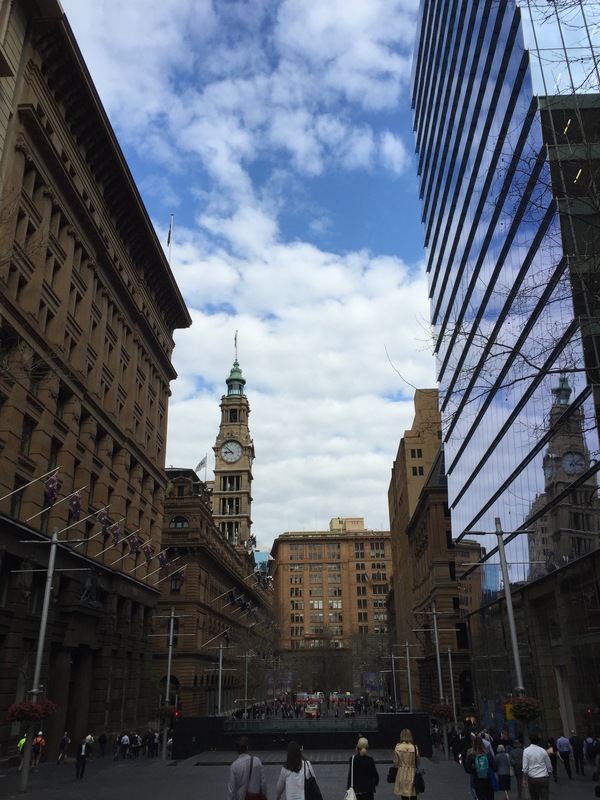 Martin Place runs between George and Macquarie Streets in the Central Business District of Sydney. It has been home to many of Sydney’s longest standing financial institutions such as the Commonwealth Bank, Westpac and the Reserve Bank of Australia. The City Council thus promoted Martin Place as the ‘financial and insurance centre’ of Sydney and ‘the hub of the city’. It has also been described as the “civic heart” of Sydney. However, the most popular landmark has been the General Post Office (GPO) in the corner of George Street and Martin Place. The Sydney GPO was built in 1963, at a time when a little laneway connected Moore and Pitt streets. In September 1892, the street in front of the GPO and which connected Pitt and George streets was widened. Thirty years later, in 1921, the widening of Moore street turned into what we now know as Martin Place. The extension of Martin Place from Castlereagh Street to Macquarie Street was not completed until 1935. Proposals to close the street, and turn it into a pedestrian only street, between Pitt and George Street weren’t until the late 1960s. The popular success of this pedestrian area turned into a project that was completed in a few stages finishing in 1979 coinciding with the opening of the Martin Place railway station of the new Eastern Suburbs line. It is uncommon that pedestrians get priority over motorised vehicles so Im glad they did this project. This area is quite random and unique; always something happening in it.